Jack Kirby was one of the principle minds and artists behind some of the best known comic characters in history, including, among many others, the Fantastic Four, the Hulk, X-Men, and Captain America. Few people realise, though, that like his most patriotic creation, Kirby spent a good portion of WW2 fighting the Nazis as well, though never managing to duplicate Captain America’s feat of punching Hitler in the face. 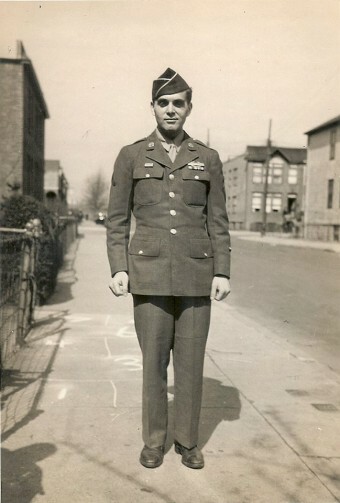 Kirby was drafted into the army in June of 1943, just as his comic career was starting to gain some serious traction, and was initially assigned to be trained as a mechanic. However, according to Kirby’s son, Neal, his father had absolutely no affinity for the finer points of mechanics and spent as much of his training as possible lying below a truck and occasionally smacking it with a wrench so that it sounded like he was doing something. In a rare set of interviews given by Kirby in the early 1990s, he revealed that one of the most surprising things about basic training, other than the difficulty of the training itself in those days, was the culture shock of meeting so many people from so many different backgrounds he previously knew little about. 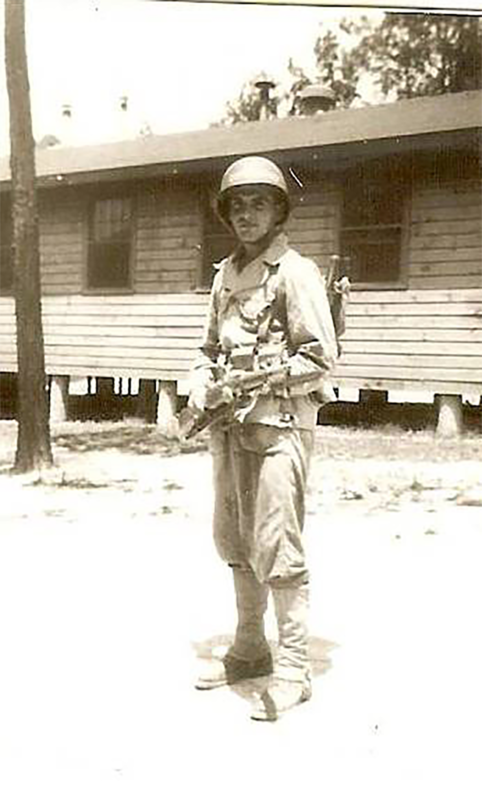 After his basic training, Kirby was shipped off to what was then known as Burma (Myanmar today) where he was given training in how to become an anti-aircraft gunner. Training for this included a live fire exercise in which a gunner crew was asked to shoot at banners and flags hung several hundred feet behind a friendly tow plane. It’s noted that Kirby’s anti-aircraft crew were so bad at this that they shot down their own friendly pilot, causing him to have to bail out. Unsurprisingly, Kirby was soon reallocated to an infantry division in Eastern Europe where he joined the 11th Infantry Regiment. During his time with the 11th Infantry, Kirby and his fellow soldiers were subjected to no less than 36 separate assaults from the German army while trying to hold a small section of wood bordering the Moselle River in the North of France. One notable assault attempt included a large tank that smashed through the regiment’s defensive line, only to be stopped by an unnamed soldier managing to shoot through the driver’s viewing slit, killing him instantly and potentially saving the life of Kirby who was only feet away from its treads in a foxhole. “Once during a fight some guy crawled up to me from the back and he grabbed my feet. I almost shot his head off. He said to me, ‘Pick out five men and go see Marlene Dietrich.’… I was at the end of this rock wall and chunks of it were flying around from 88 shells, the earth around me was going up in big clots, all the rest was being pounded by machine guns, and I was laying there talking to this big jerk… This guy said, ‘If you don’t want the detail then I’ll get another guy.’ I said, ‘All right, all right. I’ll take the detail.’ I still didn’t believe this guy, but I picked out five other guys—they thought I was crazy too—and they came along with me. We crawled about 100 yards and walked another 400 where there was a truck waiting and other GIs were getting on. So these other guys and me got on this truck and they took us about 7 miles down the road away from the action. And sure enough, there she was, Marlene Dietrich, along with Bing Crosby, Martha Raye, and some other actors. They put on a show for us; comedy, Vaudeville acts, singing, dancing—all that in this hell on Earth. I couldn’t believe it, the guys with me couldn’t believe it—our jaws must have dropped and hit the ground. After a while I wasn’t even thinking about the friggin’ war. At one time Marlene Dietrich came out in GI underwear and it was crazy as all hell. During one scouting mission, Kirby recalled that he was started by a rustling noise only to find it was just a dog. It was a great big hound that was badly injured; it was cut and burned all over… It stopped in front of me and just stared. It didn’t growl or whimper, it just looked at me with these deep accusing eyes; it was the most human expression I have ever seen on an animal. It was like he was saying, “You, you did this to me!” Oh, I felt so guilty. I felt just terrible and so hurt, because to me it was like an accusation by a dumb creature that didn’t care why I was there or anything about the Germans. All he knew was that I was there and he was hurting; that’s all this animal knew. All this was happening around him and even though I had nothing to do with it, I’m still the cause. I didn’t have the courage to look this beast in the eyes any longer. I lowered my rifle and it limped past me out of the wreckage and onto the road. He kept giving me these dirty looks, terrible dirty looks. I think I stood there for several more minutes before I continued my sweep. On another occasion, he got into a fire fight with a German soldier who’d made fun of his mother. Most Americans have an image of war—especially that war—that it was a carefully planned event; groups of men—groups of professional fighting men—going up against other professional soldiers, moving in columns, aiming their rifles, all under the orders of their commanding officers. Well, let me say that guys are guys no matter what the circumstances may be and different rules apply. 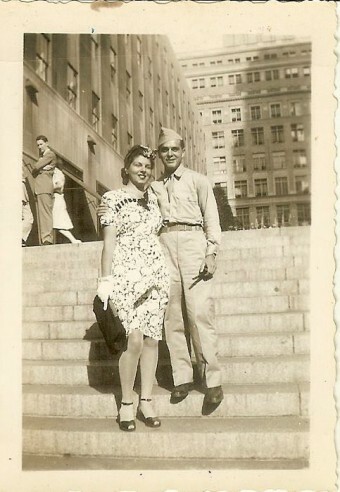 We called each other names all the time; we were cursing each other in English, German, French, Hebrew; I had quite a large vocabulary by the time I got back—I could cuss somebody out in four different languages. Sometimes a shot was never fired but we’d still be yelling at each other to ‘go to hell’ or ‘go sh*t on yourself’; but you never said anything about somebody’s mother, not unless you wanted somebody to take a potshot at you. I entered a street and somebody from a window started calling me all kinds of names in German, and he was laughing. “I’m going to kill you,” he said. “I’m going to shoot you right in the face.” I stepped back against the wall and pulled back the bolt on my machine gun. I was ready to wait this guy out, but then he said something about my mother. I forget what, but it gets me pissed—I mean really pissed—so I stood back and began spraying where this voice has been calling. Then he started spraying me and soon the whole street is riddled with bullets. I guess there was more than one guy because I could hear them running through the buildings. We all ran like hell, but I never saw these guys. I think I hit two of them, but I didn’t stick around to count. I ran like crazy, the whole place was filled up with flying stuff. There’s also a persistent rumor that Kirby ambushed three Nazis and killed them all with a knife, but Kirby himself never confirmed this story in any of the interviews he gave about his time in the war, nor could we find any well documented evidence to support the rumor, so the veracity of the tale is somewhat questionable. Kirby’s military service came to an end when he got frostbite on both of his feet during an unforgiving European winter. “Don’t think I just got nippity-ippity frozen—they were frozen. It took them a year to even get back some of the original color.” After spending this year recovering and barely avoiding having his feet amputated, Kirby was sent home. Jack was the single most influential figure in the turnaround in Marvel’s fortunes from the time he rejoined the company … It wasn’t merely that Jack conceived most of the characters that are being done, but … Jack’s point of view and philosophy of drawing became the governing philosophy of the entire publishing company and, beyond the publishing company, of the entire field … [Marvel took] Jack and use[d] him as a primer. They would get artists … and they taught them the ABCs, which amounted to learning Jack Kirby. … Jack was like the Holy Scripture and they simply had to follow him without deviation. That’s what was told to me … It was how they taught everyone to reconcile all those opposing attitudes to one single master point of view. The famous image of Captain America punching Hitler in the face actually received hundreds of complaints from Nazi sympathizers upon its release. At the time the comic was published (1941), the full extent of what Hitler was planning and was responsible for wasn’t yet widely known. The threats against the staff were so numerous that a police guard was set up outside their office building and the mayor of New York personally called to reassure them that the City of New York would see no harm come to them. Apparently he was a big fan. Kirby was born Jacob Kurtzberg before changing his name to Jack Kirby, which he reportedly chose because it reminded him of Jimmy Cagney, an actor he was fond of. There’s also a rumor that Kirby changed his name because his original name sounded “too Jewish”, but Kirby himself has always denied this. In 1979, Jack Kirby teamed up with the CIA and the make-up artist from Planet of the Apes as part of something now known as “The Canadian Caper”. In a nutshell, Kirby was asked to create a bunch of concept art for a non-existent sci-fi movie called Argo which was used as cover to rescue some hostages. This story was later adapted into the Oscar winning, albeit wildly inaccurate, film starring Ben Affleck.